This one phrase which describes the idea of what a person eats being linked to the health they experience has been around since 1826. It was originally suggested by Anthelme Brillat-Savarin. It is an idea that was expanded upon in the 1920s by a nutritionist named Victor Lindlahr. He believed that food controlled health. He developed the Catabolic Diet and then published a self-help book in 1942 that told people that they were what they would eat. There is direct evidence to prove this statement is true. Two of the leading nations in total Kcal consumption in the world today are the United States and Austria. These two nations are just 10 Kcals apart from each other for the average daily consumption of food per person. In the United States, it is estimated that 1 out of 3 people are obese. In Austria, just 1 in 10 people are overweight or obese. The difference is literally in the quality of foods that the average person eats from each country. If you are eating cheap foods, then you’ll receive cheap results. Good foods provide you with good health results. They’re beneficial not only for your body, buy also for your brain. And if you ever wondered what foods are good for the brain then below you will find some of the best things you should eat to boost your brain power. Snacks that are good for the brain need to be nutrient-rich so that memory power can be boosted and support for the central nervous system can be supplied. Although cookies and milk might be a psychologically satisfying reward after a tough day, it could rob you of your productivity the next day. Good snacks that boost brain power are items that contain healthy fats, still taste great, and won’t contribute much to the number of total calories that you consume every day. Here are some ideas that could help support your brain in a variety of ways. Fish. Many fish snacks are high in Omega-3s. This fatty acid helps to preserve cognition, improve memory, and optimize the functionality of the central nervous system. As an added benefit, it can also help to prevent heart disease. Look for single serving tuna products, sardines, kippers, and similar fish products for a nice snack. ​Whole Grains. Whole grain products don’t give you a carbohydrate dump that spikes your energy, but then makes you crash. Look for snacks that have whole grains as the first ingredient and feature natural or organic ingredients only. Then pay attention to the exact serving suggestion. Many whole grain products are also vitamin-fortified, which gives you a second boost of energy when you need it the most. Pumpkin Seeds. Any type of seed will be a healthy boost for the brain, but pumpkin seeds are one of the best. Just a handful of this snack food per day can help your memory and improve your overall mental agility. If you purchase flavored pumpkin seeds, make sure to check the ingredients so that you’re not consuming a product with monosodium glutamate (MSG). MSG can cause savory foods to seem even more flavorful, which can create the desire to eat more of that product. Walnuts. This nut is full of the healthy fats that your body needs for its metabolism. It also contains high levels of Vitamin B6 and Vitamin B12, which help to prevent memory declines. As an added benefit, they also contain a good amount of Omega-3s, so if you don’t like fish, you can eat these nuts. Sunflower Seeds. This snack is filled with Omega-3 fatty acids. It also offers a high level of tryptophan, which the brain uses to create serotonin. Just a handful of seeds is enough to begin experiencing the benefits that this food can provide for the brain. The issue with snacks is that they need to be physically and psychologically satisfying for them to be enjoyed. For many people who are used to a sweet treat in the afternoon, converting to walnuts or whole grain products can be rather difficult. For this category, take the transition slowly. Try substituting one healthier snack 2-3 times during the week instead of removing all the snacks you love. Then, each week, replace one additional snack with a healthier option. This will help you to establish a new eating habit that encourages better brain health without experiencing dissatisfaction at a complete and immediate transition. And it is okay to have a cheat day in this category. Have those cookies and milk here and there. Just don’t make sweet treats be a daily habit and your brain will thank you. After rolling out of bed, you have a strong craving to get something to drink. What is the first thing that you want to get? If you’re like 80% of adults in the developed world, there’s a good chance that the first thing you grab is a cup of coffee. Although the caffeine in coffee can give your brain a temporary boost of power in the morning, there are better options. 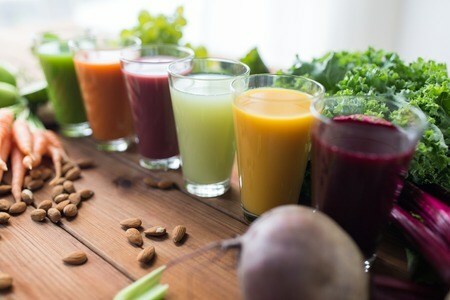 These beverages can help to support the foods that are good for the brain so it can wield its power all day long. Black or Green Tea. Although some tea varieties do contain some caffeine, green or black tea also contains ECGC. It is known to help increase the production of brain cells, which helps to boost your memory power. Tea also contains a high level of antioxidants. For many people, just one cup of tea, either hot or iced, is enough to take advantage of its numerous benefits. Berry Juices. Juice products that are made with 100% blackberry or blueberry juice provide the same benefits as if you were eating the fruit itself. Motor skills, cognitive abilities, and a prevention of early-onset mental declines are all possible when consuming berry juices. Look for products that are not from concentrate for the best results. Turmeric Tea. This spice, which has a quality that is like mustard to it, can create a tea that contains a high level of curcumin. This component is known to prevent the development of dementia. Hot Chocolate. Cocoa products contain flavonoids that are called “flavanols.” Flavonoids are a substance which can be found in virtually all fruits and vegetables, giving them the vivid colors that make them so attractive to eat. Because it is a phytonutrient, there are powerful antioxidants contained within them that have anti-inflammatory benefits for the body. Flavanols help to relax the circulatory system so that blood pressure decreases, which gives the brain long-term health benefits. It may also reduce the risk of having a stroke. Pomegranate Juice. This fruit juice is known to contain anti-viral and antioxidant properties. There is some evidence to suggest that it even has anti-tumor properties. It’s a good source of multiple vitamins and is 3 times denser in nutrient value than other beverages that are good for the brain. If you just can’t give up your morning coffee, then don’t be too worried about it. The University of Innsbruck ran a small study that followed about 700 people who drank at least one cup of coffee over 10 years. Then they compared the results of the coffee drinkers to those who didn’t drink coffee regularly. Those who drank coffee often experienced less of a mental decline. 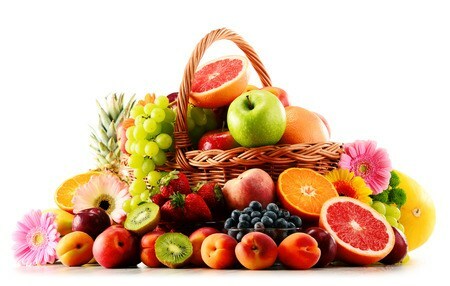 Fruits are an excellent food for the brain. Although they are higher in sugar than other food categories, it is a natural sugar that is easier for the body to digest. If the foods in this category are consumed in moderation, they can be tremendously beneficial to the overall health of your body and brain. Blueberries. This fruit is often classified as a “superfood.” That is because there are numerous research studies that show it can promote better memory and improve cognition. Eating them raw or including them in smoothies are popular ways to eat more of this fruit, but some organic food products contain them as well so you can get what your brain needs. ​Tomatoes. Although some may argue that it is a vegetable (and nutritionists see them as both fruits and vegetables), the way that a tomato grows makes it a fruit. It helps the brain because of the amount of lycopene it contains. This antioxidant is known to protect the brain from the damage that free radicals can cause. It may even help to reduce the risk of Alzheimer’s disease development later in life. ​Avocados. Not only does this fruit contain a high level of Omega-3s, but it is also one of the few foods that balances it with Omega-6 fatty acids effectively. For those following the “American Diet,” a person may consume up to 25 times more Omega-6 fatty acids than Omega-3s. This fruit helps deal with inflammation and helps to balance out brain chemicals so that more focus and clarity can be obtained. Peaches/Nectarines. If you eat just one large peach or nectarine, then you can receive more potassium than you would with a medium banana. Stable potassium levels are directly associated with nerve health. As an added benefit, you’ll receive high levels of fiber from this fruit and receive a good dose of antioxidants at the same time. ​Pineapples. This tropical fruit is one of the best when it comes to the density of bromelain it contains. Bromelain is an enzyme that helps to reduce the inflammation that may be lingering in your circulatory system. It reduces the risk of circulatory-related events, such as a stroke or a heart attack. The anti-inflammatory properties also help to give the brain a boost in its functionality. Kiwis. This fruit has high levels of Vitamin E and Vitamin C. It is also low in calories and high in fiber. They also store for up to 1 month when kept in the refrigerator. They do an excellent job of promoting the general health and wellbeing of the brain, while at the same time potentially reducing a personal risk for cancer development and better eye health. Apples. This fruit is one of the best if you’re looking for a food that contains quertecin. This antioxidant is known to protect brain cells from premature degeneration. It also helps to relax the circulatory system so that blood pressure rates can be stabilized. There is also the potential of reducing the risk of colon cancer while helping combat high cholesterol levels. Pomegranates. This fruit has more antioxidants in it than green tea or red wine. It has high levels of potassium as well. It takes just ¼-cup of this fruit to potentially benefit from what it can provide to the brain. Another fruit that some people could add to this list is grapefruit. It provides one of the biggest punches of Vitamin C within this category. It also contains high levels of potassium, Vitamin A, and fiber. Not only does it help to provide the brain with foundational support for daily functioning, but it is even thought to help alleviate the symptoms of certain health conditions, such as arthritis. Grapefruit, however, is not for everyone. This fruit has a negative impact on numerous medications and supplements because it changes how the body absorbs the medicine. Before adding grapefruit to your diet, you will want to speak to your doctor about any prescription medication you are taking. Unless you have a food allergy to them, eating vegetables is one of the best things you can do for your brain. People who tend to eat more vegetables as part of their daily diet plan tend to have a reduced risk for several chronic diseases. That is because vegetables provide the nutrients your body and brain need for daily power. They have numerous vitamins, minerals, and fiber that come together in a perfect combination. Here are the best vegetables you can add to your plate every day to boost your brain power. Broccoli. This vegetable offers a high dose of Vitamin K in every serving. It is usually better to eat it raw than cook it so you receive the best possible benefit. If you do need to cook the broccoli, consider steaming it instead of baking or boiling it. Carrots. It’s been said that carrots are good for the eyes, but your brain loves the fact that this vegetable contains luteolin. This compound helps to prevent inflammation from occurring within the brain and can help reduce the effects of memory loss that are due to the natural aging process. Eating them raw is going to be your best option, with steaming the next best option. Beets. This vegetable is known to have an influence over the efficiency of how blood moves through your circulatory system. It allows the brain to receive a stronger blood flow, but without a higher blood pressure, so that more nutrients can be obtained. This results with an improved level of concentration and focus. Kale. Harvard released a 25-year study that involved more than 10,000 women. They found that a diet which is high in dark leafy green vegetables is directly related to less of an age-related decline in brain power. Although any leafy vegetables can benefit, kale has a denser nutrient profile. ​Spinach. Outside of its benefits as a dark leafy green vegetable, eating high levels of spinach has also been shown to prevent cancer cell growth, stop damage that may occur to a person’s DNA, and even prevent tumor growth. It is also believed to reduce a person’s risk of developing dementia over time. ​Seaweed. This vegetable might not be on the average person’s daily diet plan, but it should be. It is rich in soluble and insoluble fiber. It’s also a good source of folic acid, which is known to improve memory performance and improve verbal communication processes. It also balances the brain’s mood thanks to the increased serotonin that is encouraged when eating this vegetable on a regular basis. Look for seaweed snacks if you do not live somewhere that you can harvest your own. Dandelion Greens. When you’re pulling weeds out in your yard, consider harvesting some of the dandelion greens you might have. 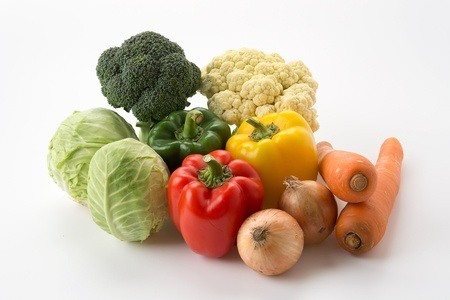 They have a prebiotic fiber that is difficult to find in other vegetables. This fiber helps to nurture the growth of bacteria that is in your digestive tract which work to support the brain with their functionality. Just don’t eat dandelion greens from an area that has been treated with pesticides or insecticides at any point in the year. Asparagus. This vegetable is another option that helps to maintain the bacteria in your digestive tract that supports the brain. It is also high in folate and has anti-inflammatory properties. 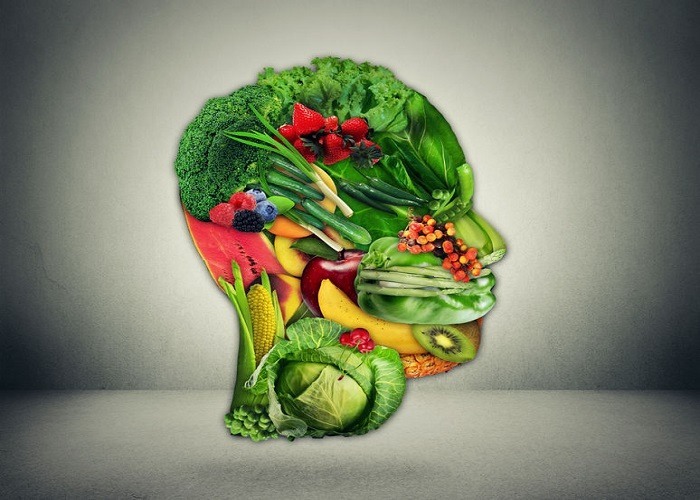 Vegetables are the primary category of foods for the brain that offer benefits in just about any form they are offered. You can eat frozen, canned, or dried vegetables and still receive many of the brain health benefits that are provided. Even cooked vegetables are helpful, though they may have a lower density of vitamins, minerals, and antioxidants than if they were raw. Most vegetables are naturally low in calories and high in water content as well, which helps to support the body’s metabolism. With more energy resources available to it, the brain can focus more on the tasks at-hand because it is less preoccupied on making sure its basic needs are met. 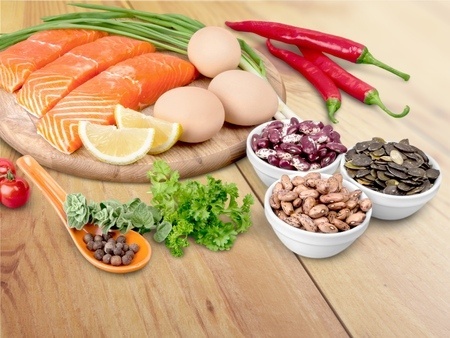 Although many animal-based protein products are typically discouraged because of the high amounts of saturated fat they contain, there are good proteins that do boost brain power. Some of them are even animal-based. You may wish to enjoy these foods in moderation, but your brain will thank you for including them every so often. Chicken Eggs. It is the choline in the yolk which the brain wants when you’re eating an egg. People who have higher levels of choline in their bodies score better on visual and verbal memory tests. Choline has also been linked to a lower risk of developing dementia while aging. Hard-boiled eggs are the best option, but if you’re trying to limit calories, consider an egg-white product for some added benefits. Turkey. Poultry products are known to have lower levels of fat, which reduces the risk of cholesterol building up in the circulatory system. Turkey also contains a high level of L-tyrosine, which is an amino acid that helps the brain make dopamine. When you have consistent levels of this chemical, then your brain feels more alert and retains information better. ​Beans. Not only do legumes provide a good source of complex fibers and carbohydrates, they are also a good source of protein and offer a low glycemic index. Fewer blood sugar spikes occur when beans are used as a primary protein source. They’re also rich in the omega fatty acids, folate, and other nutrients that are needed for the brain to maximize its power every day. ​Salmon. Like many seafood products that are fish-based, salmon is a good natural source of Omega-3s. The high levels in this fish help to maintain the health of brain cells. It also encourages cell growth within the brain’s memory centers. Look for wild-caught salmon as your first option, then look for farm-raised salmon that doesn’t have color added to it as your second-best option. Red meats do contain iron that can help the brain, but they are also extremely high in saturated fats. When a diet has consistent levels of saturated fats, there is an increased risk of serious mental health conditions later in life. Consider substituting red meats with poultry or using more monosaturated fats, like avocados or nuts, to prevent a future cognitive decline. If you like to prepare your own meals, then there are numerous accessory food items that you use every day. This might include oils, broths, and spices. Many of them have powerful qualities that can help to boost your brain power when they are consumed on a regular basis. Here are some of the best options to add to your kitchen pantry right now. Olive Oil. This cooking product contains oleocanthal. It is believed that this compound helps to support brain health by adding a “shield” against the development of Alzheimer’s disease. Coconut Oil. This product contains medium-chain triglycerides. It is one of the items that the body uses to generate energy. This oil can also have positive influences on blood pressure, glucose levels, and cholesterol. It also acts as a strong anti-inflammatory, which can reduce a person’s risk for developing dementia. It may also play a role in lowering a personal risk of Parkinson’s or Alzheimer’s. ​Rosemary. This herb can enhance memory just by having freshly cut branches lying around your home. The scent from the rosemary oil stimulates the mind and helps it to focus on the power it can provide. It also contains 1,8-cineole, which helps to improve the accuracy and speed at which the brain performs. Just be careful when using dried rosemary. The dried needles can be uncomfortable to the soft palette, so consider using a sachet with it. ​Quinoa. This product comes from the seeds of a plant that was originally cultivated in and around the Andes Mountains. It is treated like a grain, but it offers a nutty flavor that combines with a high fiber count and complex carbohydrates to balance blood glucose levels. It is also high in iron and B Vitamins, supporting blood flow and nutrient transfers throughout the body. What Are the Worst Foods for the Brain? It is just as important to avoid the worst foods for the brain as it is to include more of the better foods that can improve its overall functionality. Here are some of the items you’ll want to reduce or eliminate from your daily habits. #1. Soda. It’s essentially a liquid calorie bomb that contains high levels of sugar and not much else. If you love sweet drinks and don’t want to give them up, consider swapping out one soda per day with one of the beverages that can help the brain to see what happens. #2. Processed Pasta Sauce. If you purchase a pre-made pasta sauce, you’ll be giving your body a salt and sugar bomb. The average serving of a processed pasta sauce has more sugar than a bowl of Fruit Loops. Consider making your own pasta sauce instead, using fresh tomatoes, rosemary, and turmeric so the brain and body can enjoy your next recipe. #3. Granola. Although granola products are filled with whole grains and other foods that are good for the brain, they also have incredibly small serving sizes. Most people eat 3-4 times the amount of granola that is recommended per serving, which means they are receiving more saturated fats, sugars, and calories than expected. Try a non-traditional breakfast instead, like having some broccoli, carrots, and hummus as an alternative. #4. Processed Peanut Butter. If you purchase peanut butter off the shelf at the grocery store, then you’re potentially doing more harm than good. Many cheap peanut butters offer multiple oils, high levels of sugar, and a big dose of salt per serving. Consider changing to an organic peanut butter or going with a different nut butter, such as a sunflower seed butter, for less fat and sugar, while receiving more fiber. Check also 8 Foods That are Hurting Your Brain. What Are Your Favorite Foods for the Brain? We all have our own favorite foods that we eat on a regular basis. Those favorite foods make us who we are because that is what we eat. If you’re looking to improve your brain power, it may be time to find some new favorite foods. The items included in the various categories can help your brain maintain its current health, potentially reduce future health risks, and improve your memory potential. When new healthy foods are added to a daily diet plan, while the worst foods for the brain are reduced or eliminated, then fast results can become a possibility. What other foods are good for the brain? What are your favorite recipes using the foods that are proven to be good for the brain? Share some of your best dishes in the comments below! good brain food and from which age is it good? 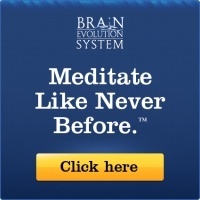 How Does Meditation Help in Daily Living?